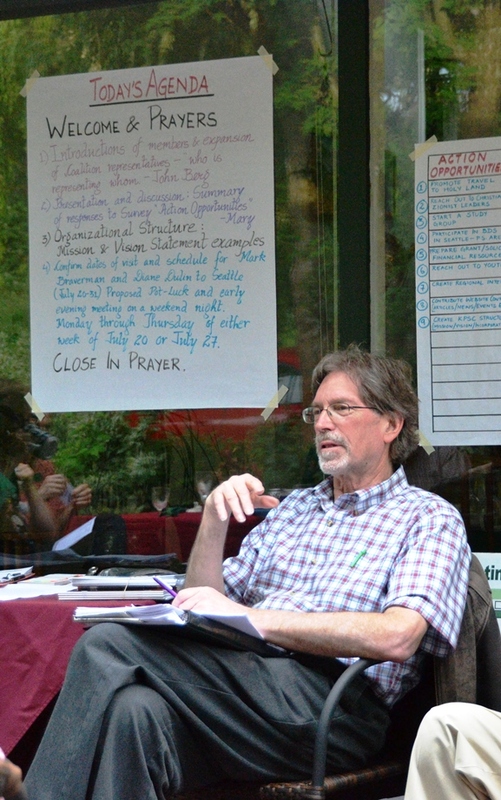 John Berg helps lead the newly formed Kairos Puget Sound Coalition. The greater Seattle area boasts a wealth of seasoned activists in various efforts on behalf of justice in Palestine Israel. Some of these are church-related or faith-based, others are rooted in community or academic settings. Yet often these long-committed and highly-motivated advocates don’t connect with each other. They’re unaware of what the other groups are promoting whether it be films, guest speakers, classes, tours, conferences, interfaith events or direct action activities. 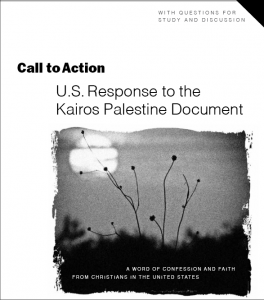 So when Kairos USA had the opportunity to present a one-day leadership conference in Seattle at St. Mark’s Cathedral in February, we were excited to see if this event might help establish new connections. Fast forwarding three months, it looks like it has. 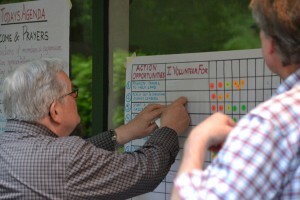 Leadership conference participants recently formed the Kairos Puget Sound Coalition. Chaired by Mary Segall of St. Mark’s Episcopal Cathedral and coordinated by John Berg of an ELCA congregation north of Seattle, the coalition includes nine existing church-based groups. These diverse participants — including some newcomers to the issue as well as longtimers in the movement — have launched a process of discernment as priorities are established for next steps. Promoting and supporting study opportunities in multiple settings. Organizing public events and programming for the September 20-26 World Week for Peace in Israel Palestine. Resourcing enlightened Holy Land travel opportunities. Creating a unique coalition website for connections, leadership development and publicity. Representatives to the Kairos Puget Sound Coalition are getting organized. How will this coalition serve the movement for justice in Palestine with tangible activism and measurable results? Communication among leaders is a self-evident value. Even more vital is constant attention devoted to nurturing new participation and fresh leadership. There is no shortage of world-class speakers and opportunities in Seattle; the challenge now is to turn fantastic one-time events into launching pads for activism that changes the dynamic of false hasbara (propaganda) narratives and overcome media-fed feelings of helplessness. Some say a certain tipping point is within reach for the Palestinian justice movement. Seattle area church leaders are not waiting for this so-called tipping point to push them over the top; they are energized and equipped now to provide the momentum which causes true change.